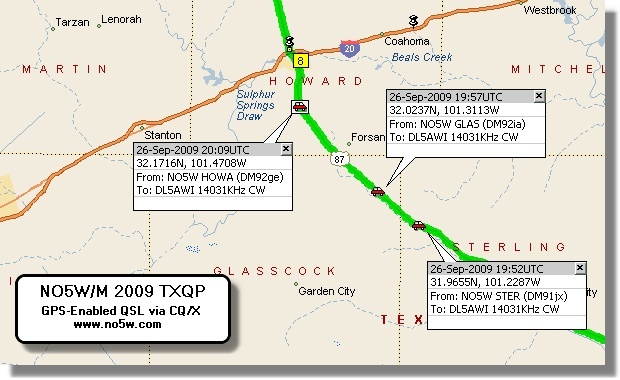 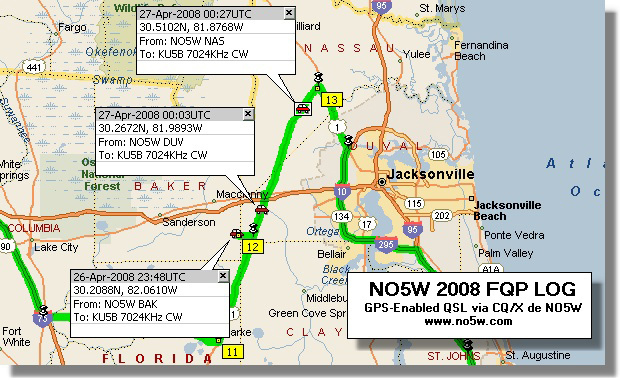 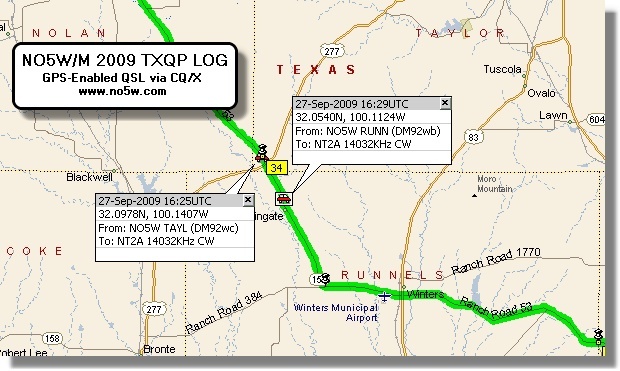 When used with a GPS, CQ/X can be set up to log the coordinates of each QSO in a file separate from the QSO log. 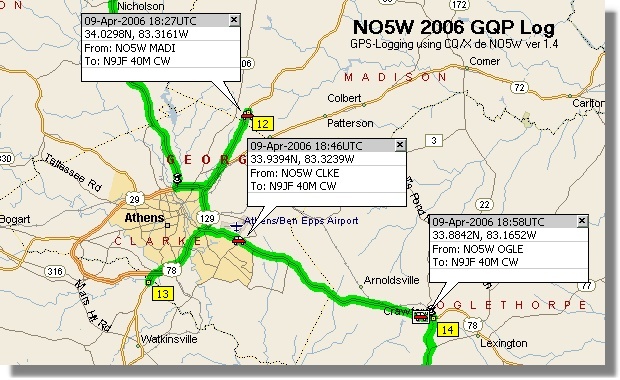 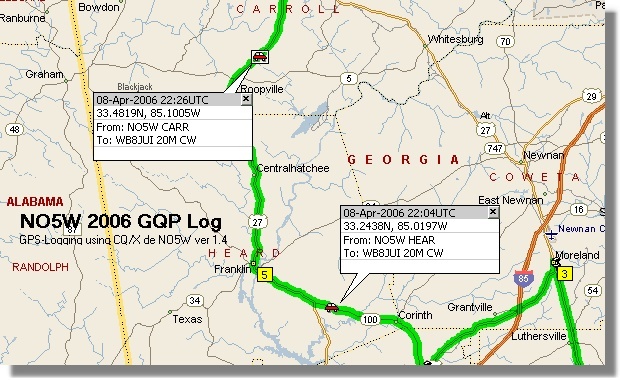 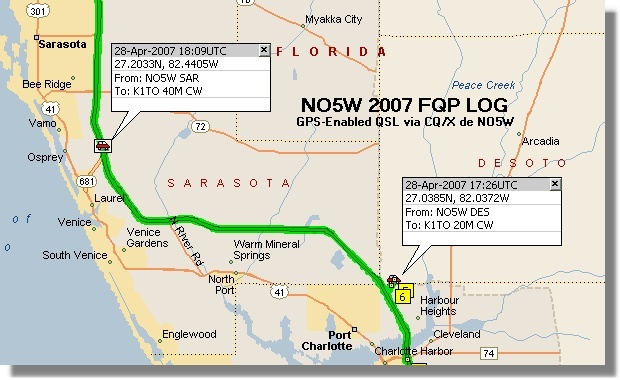 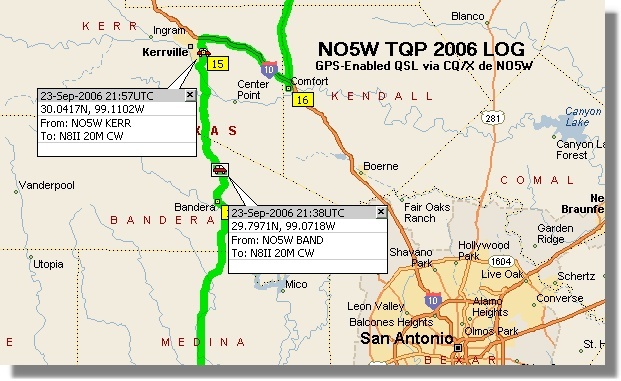 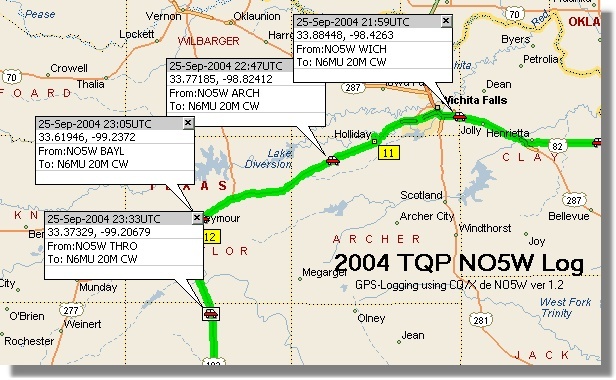 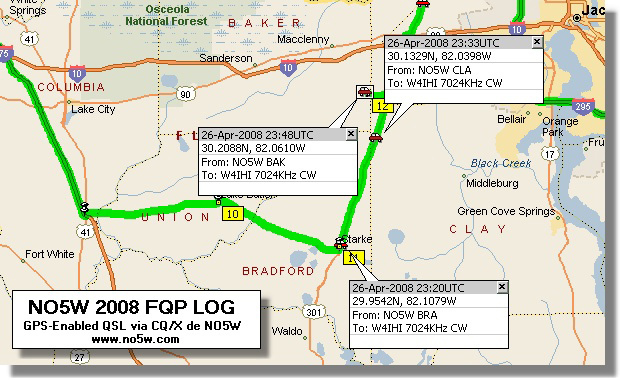 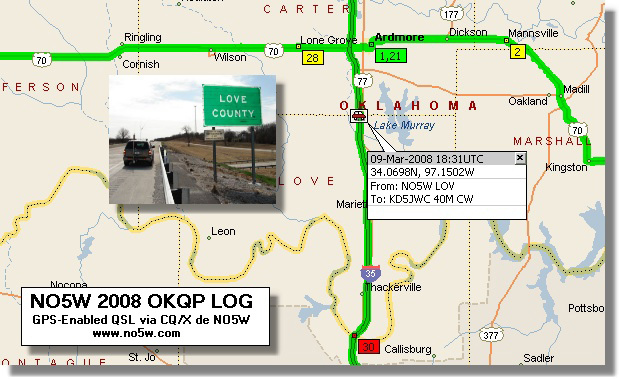 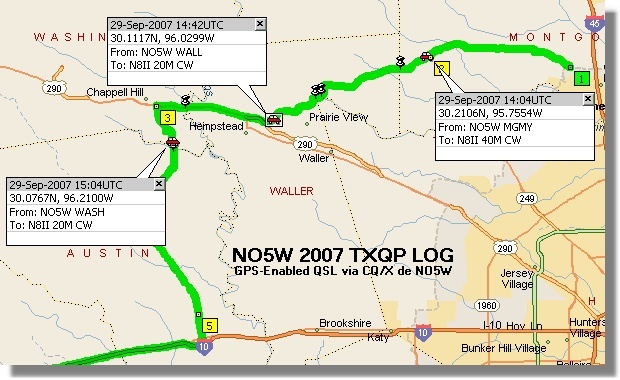 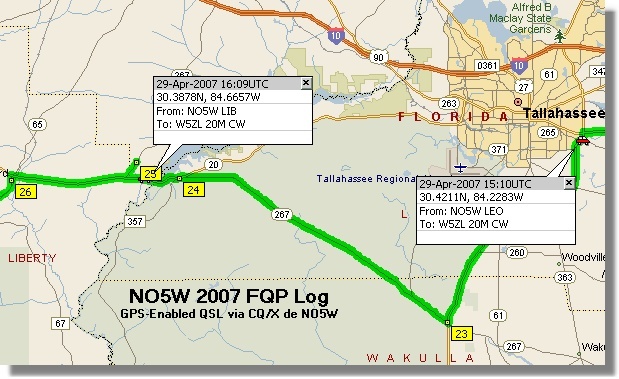 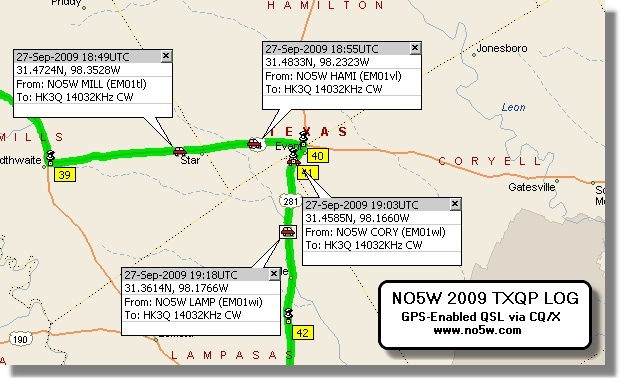 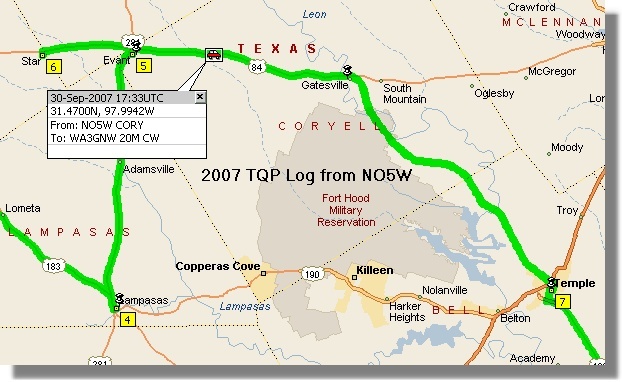 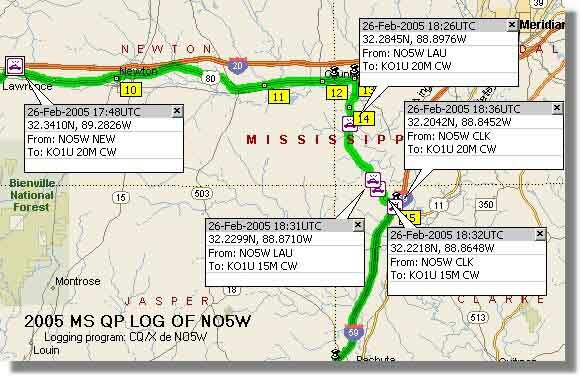 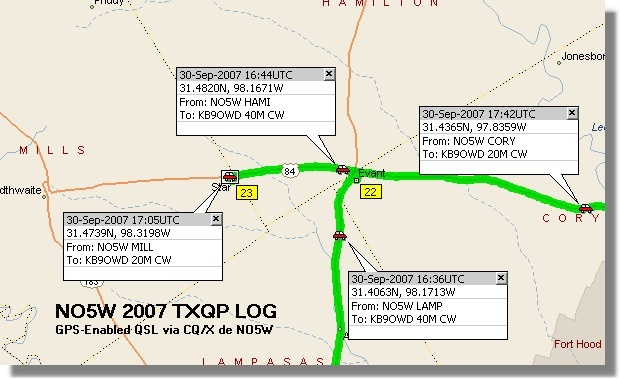 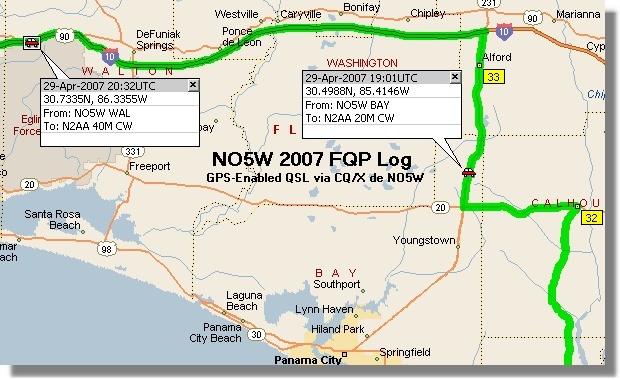 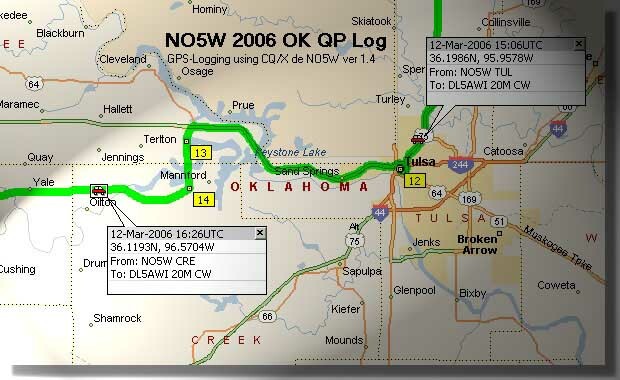 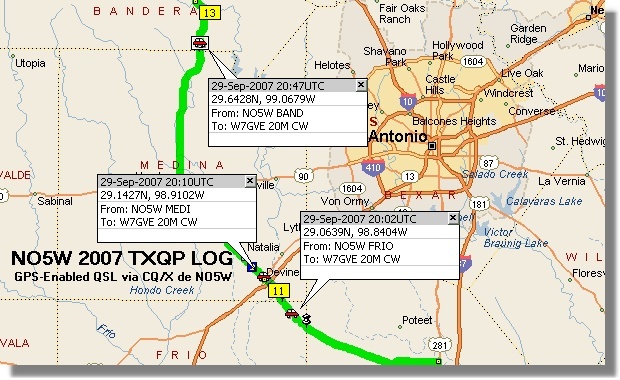 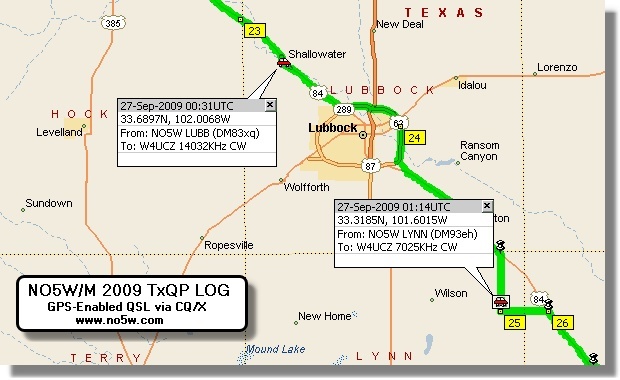 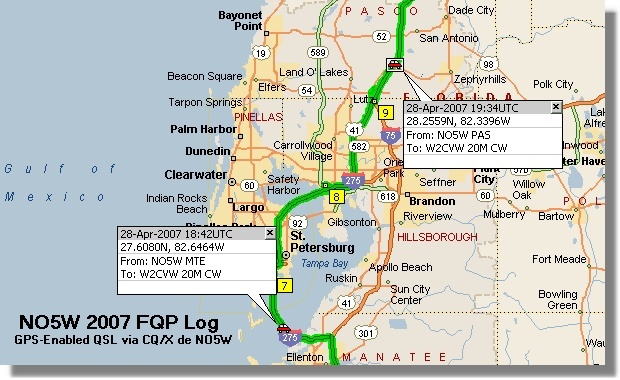 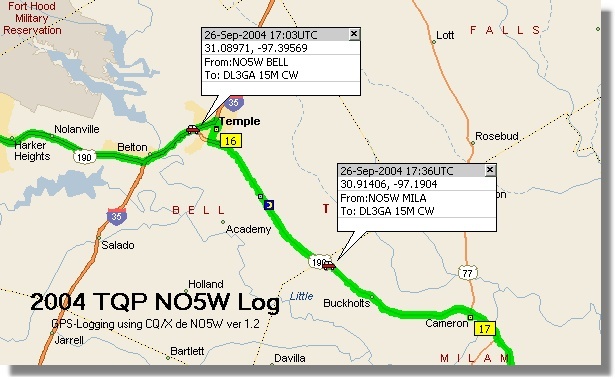 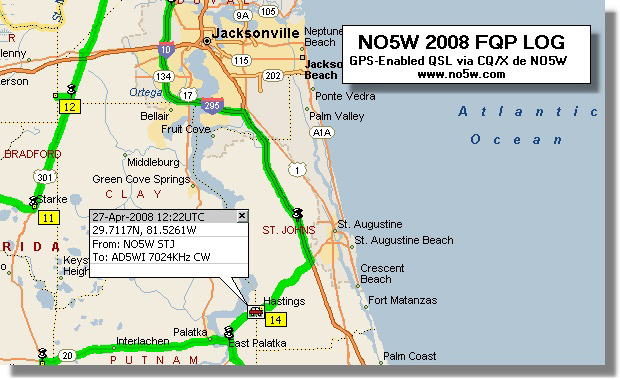 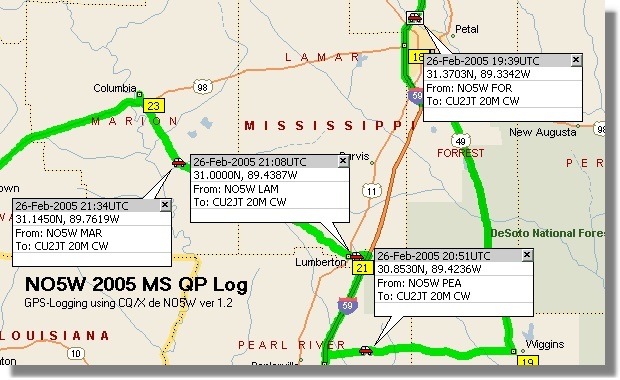 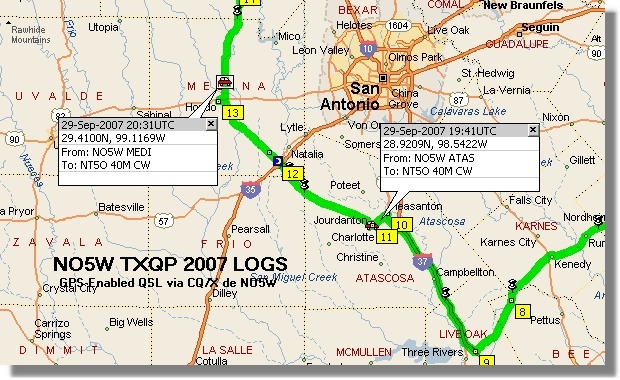 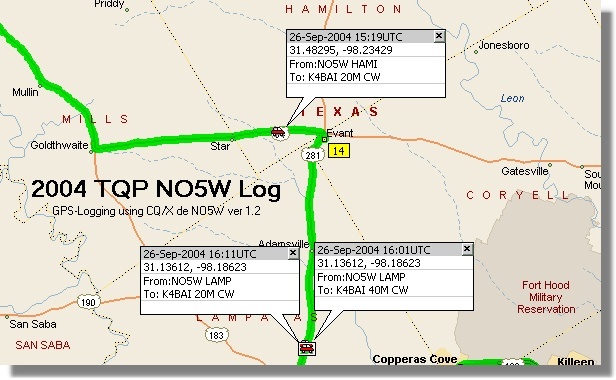 Once the QSO party is over this log, along with a mapping program such as Streets and Trips can be used to create a unique QSL showing the map location from which the QSO was made. 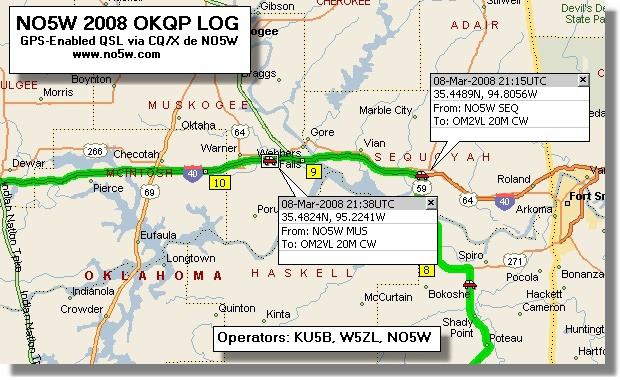 This is described briefly in GPS-Enabled QSLs and in more detail in the Help file. 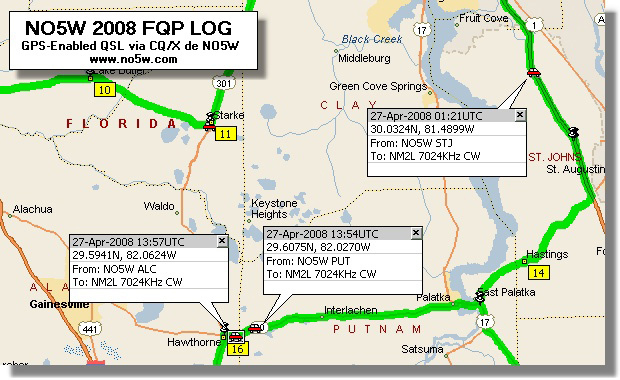 Here's a small set of examples that I've sent out or made for some other purpose over the last several years. 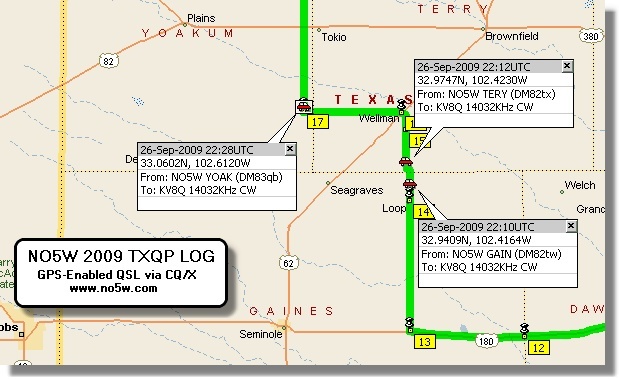 Click on the thumbnails to see a larger version of each QSL.